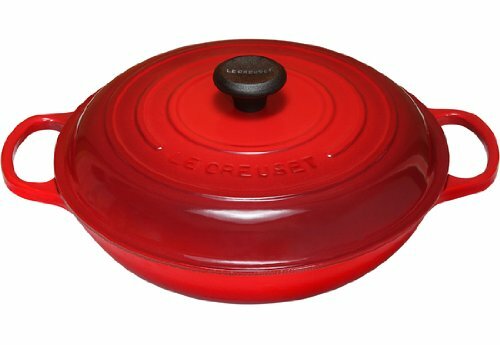 The Le Creuset Signature Braiser is a jack-of-all-trades that's indispensable in the kitchen. 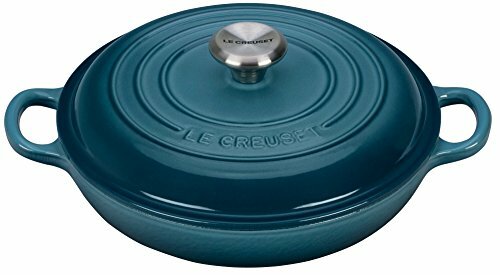 Its wide, shallow cooking surface is made from heavy-duty cast iron that features a textured enamel interior surface that makes sure heat is distributed evenly, so that your food won't stick or burn. 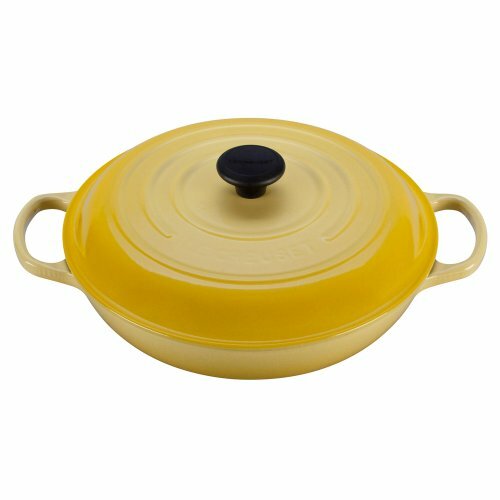 A sturdy, no-slide lid is included to help maintain pressure and allow moisture to remain locked in. The charming orange enamel exterior looks sensational and won't chip or crack with normal use. Choose from available sizes. Oven rated for up to 500°F; safe for gas, electric, and induction stove (and more). Pieces are dishwasher safe. 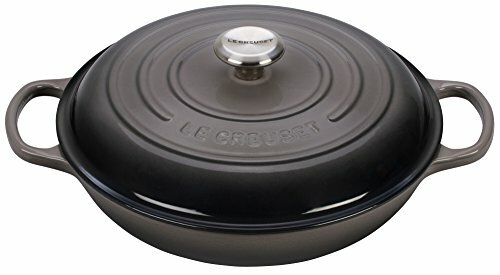 Made from heavy-duty cast iron. Various enamel colors offered. Piece is dishwasher safe. Limited lifetime warranty. Choose from available sizes.